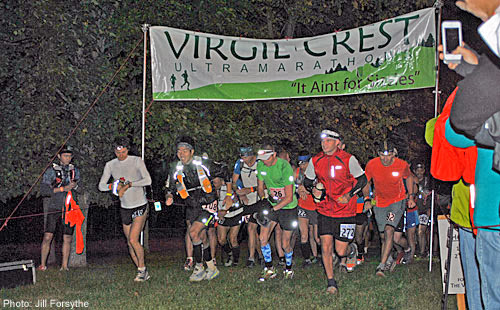 The Virgil Crest Ultra. 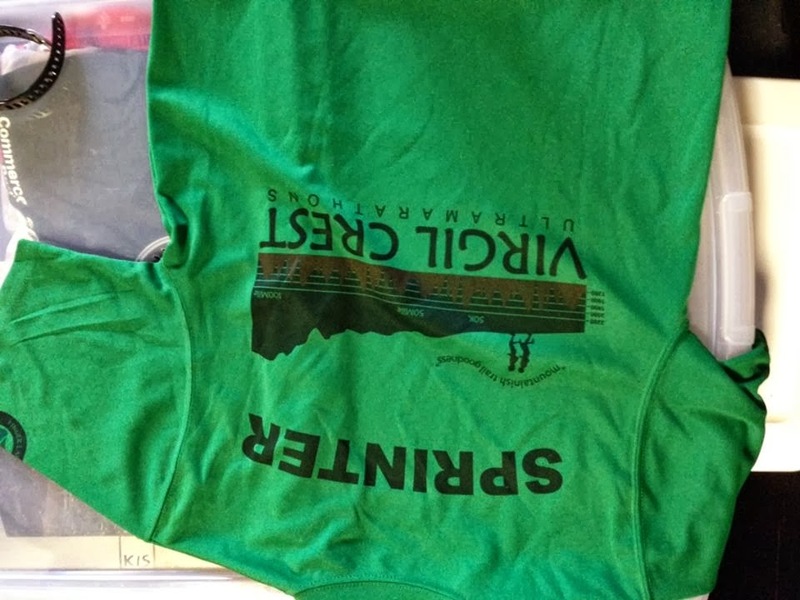 The Race Director labels the run as "Not a race for sissies! ", I would totally agree. With living only 5 miles from the race course, I have had the opportunity to train on the trails, the ski slopes, and really gauge my fitness. Little did I know that all that training almost did not matter! This course is just rugged-hard. Not only is there tons of tough vertical ups and blinding down hill sections but the footing is what makes this race "not for sissies". Every foot-plant I made, my foot was twisted through mud, roots that made me feet ache upon each strike, and narrow paths deep in the woods where a fall could be...fatal. This race was TOUGH! I never imagined how hard it would actually be but it was. 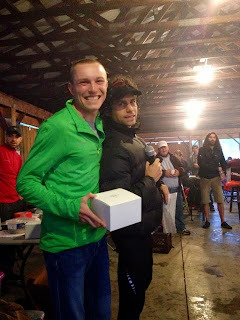 The 50 mile race was a great challenge and I am so glad I had enough guts to hold it together for a course record. Minutes after the finish! My body is spent! Mammut was nice enough to send me a pair of the new MTR 201 Pro Low coming out in February and let me tell you I was very impressed with this shoe! It has a new lower lug design and the outsole with its different rubber was super grippy but also light and durable. My new favorite shoe from Mammut and I think many people are going to love this shoe! The race begins in a dark, cold, windy morning where my biggest worry for the race is the fact that I have never run a race with a headlamp before and I hope not to get lost. I vocalized that to everyone that I chatted with pre-race that I was nervous about ruining my race with the lost thing. I warmed-up a little and decided that wearing gloves to the first aid station would be smart until I warmed up. The moon was still out on the race ambiance felt like a section from Midsummer Night's Dream. We took to the line. With the blowing of the rams horn we were off. The race went out solid with myself running with the pack up-front. I then started to pull away with this awesome Japanese athlete who I wish I remembered his name. We ran a good 4 miles together in the darkness. We talked and had fun. We were also averaging around 7:40 a mile which is pretty solid. I had a headlamp and he was following my beam as we navigated the dark woods. This was my scariest portion of the race. I did not want to get lost. At one section of the trail, he talked about taking his jacket off, that was the last I saw of him. I kept pushing on running relaxed enjoying the trails I have called home. I followed the reflectors shinning like wild eyes of a devious animal as the sun slowly started to peer into the sky. The trail began to lighten up as I made the first aid station. Aid station 1 I came out on the group and startled them that my pace was not calculated here because I did not need my bottle filled or gels so I pressed on. Miles 5-10---I began to get stomach issues from the pasta I ate the night before. Should I use the bathroom now or wait until the next aid station, the Lifthouse 7 station to begin the alpine ski loop? I started to feel queasy so I pulled off trail and took care of business. I could not see anyone behind me until I entered back onto the trail I saw the headlamps. I had a mile to go left through the winding Finger Lakes Trail before crossing onto Carson Road. I hit Carson Road on a nice downhill road section. I split 6:17 for the next mile and then entered the Alpine Loop. Alpine Loop--I reloaded on my gels and bottle and then ascended the Hercules Ski Slope ascending a solid 1k amount of vertical. It was a tough one. Looking at my watch, I positioned my pace as close to 12 minute miles as possible while running the slope. The 4 miles of agony would be over soon enough. After the first climb, the trail heads downhill before climbing into the woods for a super steep 30% grade section that then dumps you onto a seasonal access road back to the other-side of the mountain. I finished my first loop just under 30 minutes. I then refueled then headed back out onto the rugged trail sections. Coming down Alpine Loop Feeling Great!!!!! Many More Miles to Go! I felt great. I was running a fast pace around an 8 minute per mile average at the time feeling nice and relaxed. I took my occasional gel though my hand-held bottle was getting the job done for me. I was not cramping and was flowing throughout the course. I hit every aid station ahead of what people were thinking and so I caught them off guard as I am scrambling to get all of the goodies. I must say that it was an amazing race and I loved and appreciated seeing all of the hard work and support from everyone out there! 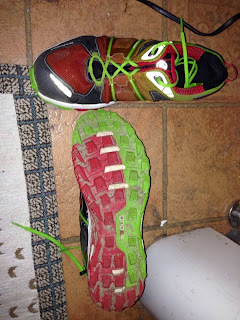 My new Mammut MTR 201 Pros handled the rocks and roots and creek crossings of a tough Northeast course like it was a smooth flat road. 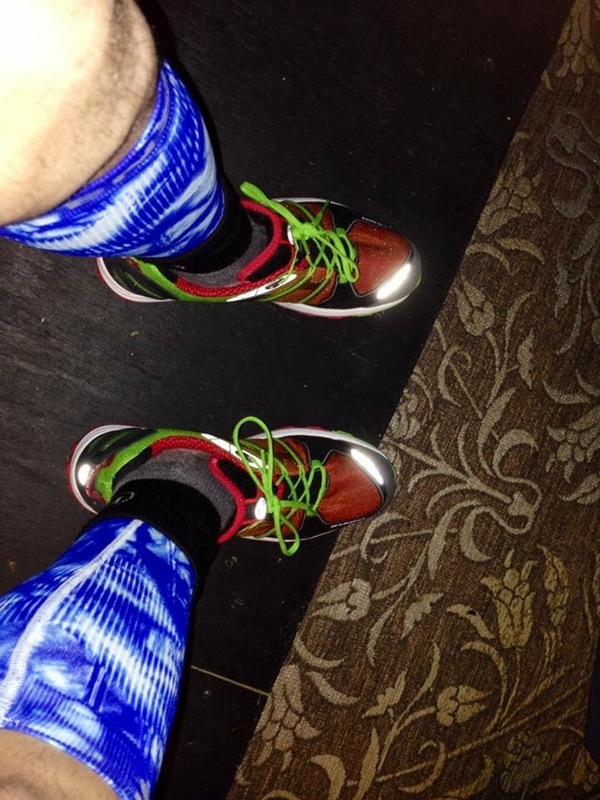 I never stumbled or had bad footing throughout the race. I went through Rockpile feeling solid and then hit the highway road crossing into the last section of trail towards Daisy Hollow I had not run before. This was going to be uncharted territory for me. I hit the trail section and immediately found myself pulling on ropes connected to the trees to pull myself up the steep climbs. The trail was narrow with tons of roots and I was just trying to keep my footing on this section. For me, the race would begin at Daisy Hollow. I would spend some time refueling before my huge 25 mile push for the finish. The Daisy Hollow section was much more vertical than I expected. Anytime you have to pull yourself up with a rope seems like a new daunting challenge. I came to the Daisy Hollow Aid Station by almost passing it on the trail until some volunteers hollered for me to come back. I met up with the crew there and began to re-fuel. I topped off my bottle with GU Brew, got my much needed gels, my ginger ale and coke, water and then headed out. I was well under course record pace and I knew as long as I did not blow up, the record would be mine for the taking. I left the aid station after a 10 minute break at 3:51 and I was off. I flew through the next sections as the runners coming from the way back made the trail navigation difficult as the Finger Lakes Trail sections on the course are narrow, steep, and rugged and really not designed for people running into one another. As I made my way through the woods, I noticed a runner actually pretty close to me and thought maybe he was a part of the relay. I kept my pace speeding on the down hills and running the up hill sections. I ran through every muddy sections as people opposing me on the trail were being cautious. 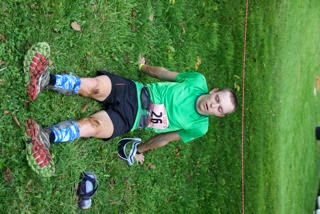 The fatigue from the course began to takes it toll at the 50k point at mile 30. My Ultraspire bottle kept leaking my precious GU Brew all over the place and this is where the going got tough. My legs began to cramp as I would take my signature Roctane gel and then wash it down with fluids and it would go away. Then two to three miles later, the same thing would happen. With each slow passing mile, my legs were suffering pretty bad. From Rock Pile to the next Lift House 7 aid station felt like an eternity especially as my bottle was all out of fluids. I had three more miles to go. This is where the running was tough. My legs were cramping and getting tight. I could feel my sugar levels get lower and lower. I just hoped that I could maintain my form to mile 36 so that I could refuel. I held it together struggling on the uphill and downhill sections. One slip and fall and I would want to throw in the towel. Pace-wise, I was still running under record pace. I just relaxed and proceeded to take a gel without any fluids each time my quads would cramp and begin to almost wobble. My Fits socks kept my feet blister free and the new Mammut MTR 201 Pro held kept me afloat as a near fall could have ended my race. This portion of trail lasted the longest and after I had passed the initial wave of people, I was back to being alone again. The final Greek Peak descent went well as I flew down the steep 1.5-2 mile downhill winding on the narrow hiking trail. I hit the last little creek and then proceeded onto Tone Road and man was I happy to see that road. I increased my pace to 7 minutes a mile or so to the aid station. I talked about how my legs were shot and that I wish the race was over because I did not know if my body could take me the distance. I refueled and shot out of the Lift House 7 station up the rugged ski slope. As soon as I realized the course takes me up the slope on the dirt access road to the top then crosses over I was shocked that this climb is really hard. I powerhiked this whole section. I could not believe that Ian made this section so hard. I began to work my way up the road to the top of Greek Peak at 2,086 feet. The climb long and really not fun. I just wanted this race to be over with. As soon as the climb ended, I flew on the flats and the downhill sections. I needed to make up time. I powerhiked at 12-14 minutes a mile and wanted to lower that overall average pace. I came through the middle of the Alpine section feeling better until I crested the last big climb. As I was out on the loop, I noticed a group of ATVs that were following me. As I hit that climb, I realized it was Mike and a bunch of awesome volunteers I had worked with at the Catherine Valley Half Marathon. They gave me some encouragement as I was flying up the climb at 10-12 minute power-hike pace. One thing I have learned about ultra running is that when you are tired and fatigued, power hiking fast can win you races. 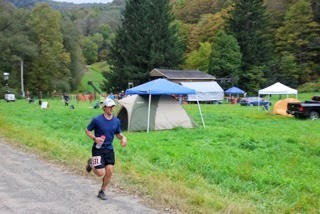 I have spent a lot of time practicing this skill especially for the Virgil Crest Race. Once I hit the peak, I flew on down the mountain. I had averaged 36 minutes or about 9 minute pace for the loop which was not bad considered that my front quads were destroyed from all the uphill torture. THen I was back at the aid station--Lift House 7. 40 miles down--10 to go. I made it to the aid station and my legs were done. I was mentally done. My father and Ian mentioned to me that at the Alpine Loop, a runner was only 5 minutes behind me! 5 MINUTES!!!!! WHAT????!!! I WAS IN SHOCK!!! Who was this guy? At Virgil Crest! I cannot believe this! I am a goner!!! !So many thoughts circulated through my mind. I needed salt caps and 6 salt caps I engulfed. I took my time with my gels and fluids. This was going to be the final push. My father talked about how this runner looked fresh and was gaining on me. Should I massage out my legs or should I go for broke? Here is a training run of mine looking the Virgil Mountain area. I decided that I was going to go for it. If this runner was to catch me, he surely would deserve it and I was not going to go down without a fight for it. 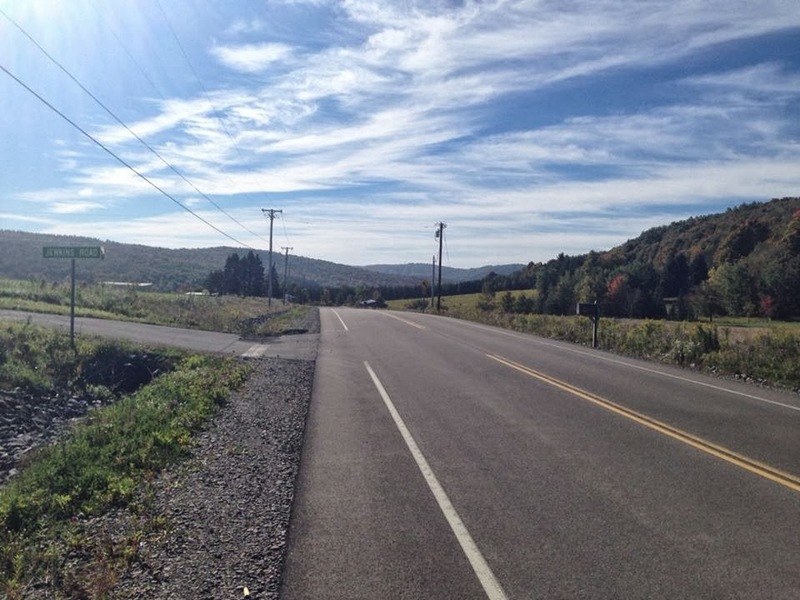 I made the push out to Carson Road and the final Finger Lakes Trail section through Tuller Hill State Forest. 2nd place coming after me! I hit Tone road with a vengeance! I sprinted up the steep section as my calves felt like they could be ripped from their sockets. I followed a trend of three to four power-hike steps for every few minutes of running. I repeated this strategy and MAN IT WAS WORKING! I hit the trail knowing this last hour or so was going to take all I had left. My legs were spent, my mind was drowned in guilt and defeat. I was giving it all I had though I did not think that would be enough. 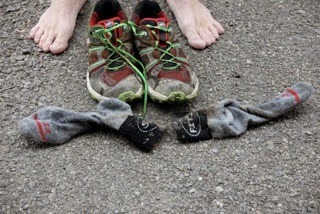 I ran and and down through the Finger Lakes Trail using every ounce of energy I had. 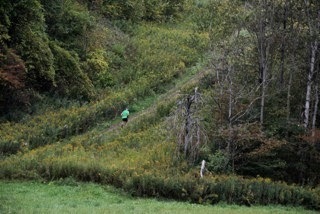 For every tough uphill or steep downhill section, I willed myself to run at all costs. With my destroyed quads, running uphill was a painful challenge yet I forced myself to keep pushing. I danced along the winding trail with the hopes of making it a strong finish. I thought to myself all of my friends and family, sponsors, and my life in general. I has a 10 mile self-reflection period. I thought to myself as being the hometown hero and I wanted to win this race for them too. I hit the last aid station and quickly refilled my bottle and got my last gels and said thank you to the volunteers and headed for home. At this point I was starting to gain confidence. I was running the uphills better and was flying on the flats and the downhills. On the downhills I was surely splitting low 6 minute pace. My body at this point was already in shambles and it was sheer mental fortitude that kept me going. I hit the final 2 mile trail section before the Nordic Ski trails and then the finish. I hit that downhill section feeling rejuvenated. I kept listening for noise behind me to indicate I was about to be caught yet I heard just my feet and the heavy breathing of myself. I hit the downhill section a man on a mission as well. I was rattling off 6:12 minute mile pace like it was a nice Sunday run. My watch at this point from mile 8 of the trails to the finish was losing battery power so I could not see my overall time except for the big 7 in front meaning I was moving at a great pace. A surge of joy came over me as I might have this race won. I could not believe it! I fought hard and came out on top. With 10 miles to go in the race, I felt like I was a goner. My hopes were crushed. But at this point, I had gained that confidence to finish strong. And at the moment of elation, I hit my ankle into a dirt mound and twisted my ankle really bad. I said some bad words in those woods as my voice echoed. I was 100 feet from the end of the trail too. I crossed Clute road and then headed onto the seasonal access road at a hobbling 9 minute per mile pace. I felt defeated once again. I had this moment where I was coming out of a rough patch and then this happens. I slowly gain my pace and enter the Nordic Ski Trails. I glance back and see no one behind me. I am now running as fast as I can. I look at my watch and I am running 6:42 a mile then pick it up once on the Hope Lake Path. I hear cheers from the distance and I acknowledge them with a fist pump. I then pick my pace up as if I were to be sprinting in a 5k. I finish my last mile and a half averaging 6:25 a mile. I round the turn and fist pump a whole lot more. I cross the line and collapse to the ground elated at my performance. I look at my watch and it is dead. 8 hours on the dot. Right at 2 pm. WOW! I DID IT! The race was an incredible experience. 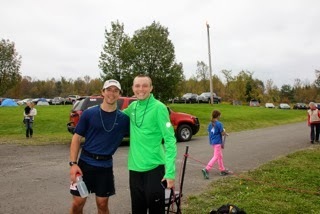 1st and 2nd after a long day--to imagine a first ultra for Andrew! Thank You Volunteers for all the help and encouragement! Thank you to all of my sponsors: Mammut, Karhu/Craft, Acidotic Racing, Fits Socks, Dion Snowshoes for your continued support. Thank you to my friends and family for all of your continued support! This race win was for you! 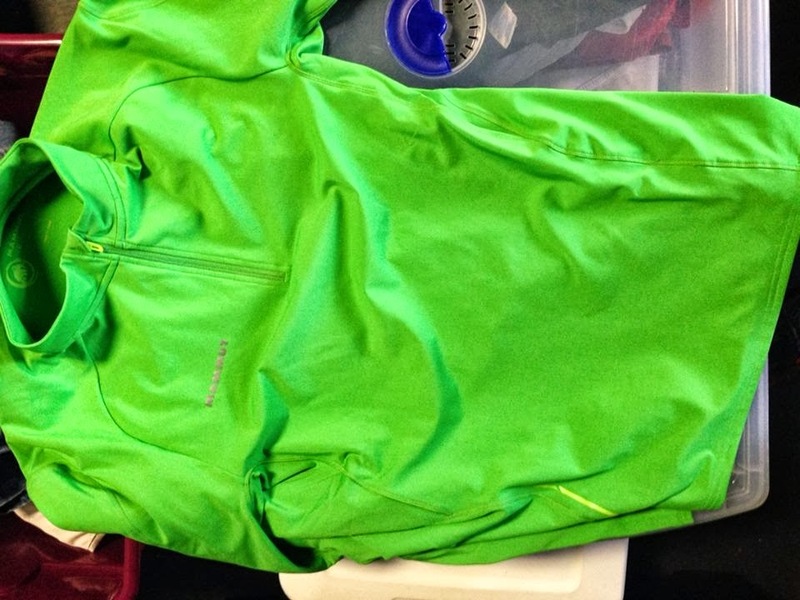 Mammut MTR 141 Thermo--A Midlayer classic! Acidotic Racing Visor! Brand New!!! After the Virgil Crest Ultra, this performed like a true champ. I have never been more impressed with a shoe before. This is my new favorite trail shoe. Mammut has lightened the shoe from the previous 201, the shoe comes in at a 9 ml drop and the new color-scheme and outsole design are what set this shoe apart. OUTSOLE: When looking at the outsole of this shoe, the old Griptex was great and stable but this new multi-wear based rubber does such a great job. 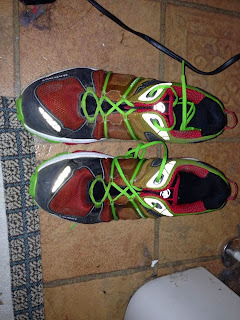 The outsole provide superior traction on all surfaces and does not hold mud at all. The slight downside of the older Mammut shoes was the heel-overhang that could clip things when the legs get heavy. The new low rubber design eliminates this issue completely. It works great. Mammut is the trademark brand for the most incredible functionality and durability out in the market today. 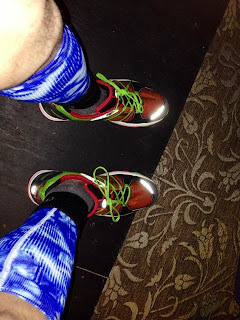 I had no problems on technical rooty terrain encountered at the Virgil Crest and even with the creek crossings and mud, the shoes gripped well and handled my run with technical ease. UPPER: I always love Mammut uppers. This new year, we have a sunburst color design where the newer models will have two colors: Red/Green or Blue/White and blends them together throughout the shoe. It creates a paintbrush effect that makes Mammut shoes look super stylish. I love the new color design. Of course with a Mammut fabric, we have a super strong shell fabric that is the most durable fiber I have seen on trail shoes. 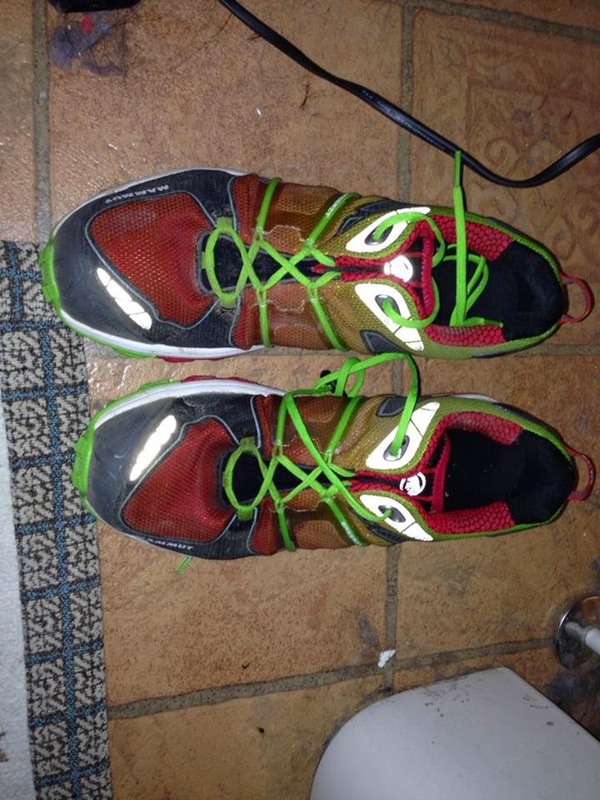 Not only is the upper light, but sharp rocks, tree limbs, and wild animals are no match for the integrity of this shoe. CLASSIC DESIGN: This shoe is not a minimal model yet has that minimal feel for trail runners looking for a solid racing and training shoe from 5k trail races up to 100 mile mountain trail excursions, this model represents "Absolute Alpine" performance. Mammut has brought an incredible product for Spring 2014 and everyone needs to check these shoes out. They look great and are going to function incredibly well. 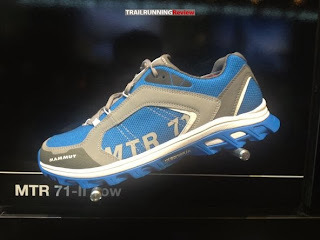 The outsole will also be placed on the Mammut MTR 71 Pro Low which is going to be an awesome shoe. These shoes with the new spongy rubber have better road cross-over ability. 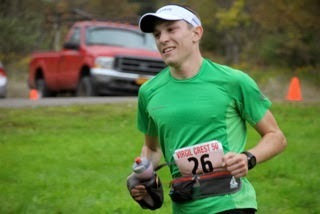 At Virgil Crest, I split a 6:06 downhill road mile around mile 9 into Lift House 7 aid station. I credit the smooth design of the shoe for the help. Mammut makes great footwear. What makes this shoe sooooo good? 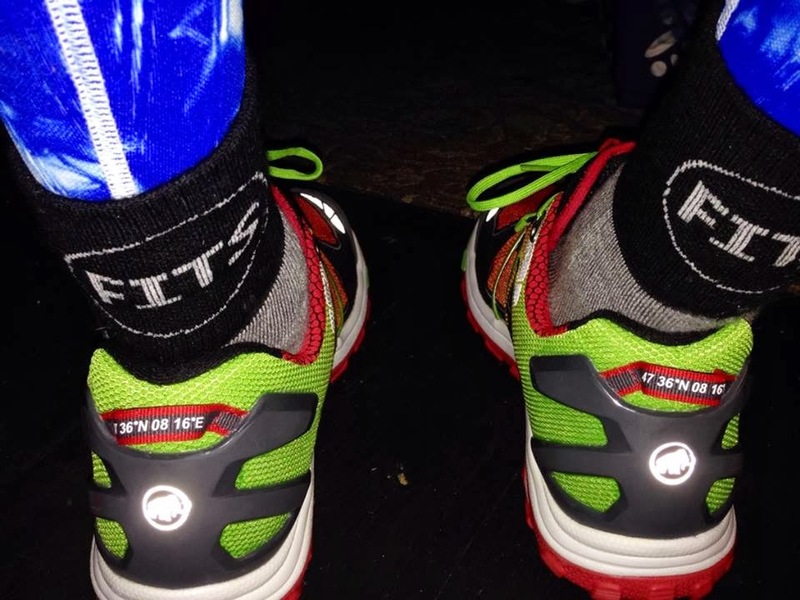 FIT--The fit works great for all foot types, the lacing is able to adjust accordingly and adapt to the foot as it swells. Wide feet love the almost seamless upper that allows for a nice foot splay. DURABILITY--This shoe can take a beating. All of my previous Mammut trail shoes the 141 and 201 have over 1,200 miles on the pairs and they still keep going strong. Also the uppers of the shoes resist ripping which I have never seen a problem with the uppers. STYLING---The new Pro Low models have great colors and look sharp. Give Mammut a try! If you are interested in buying a pair email me at colecrosby88@gmail.com and we can get you all set up. 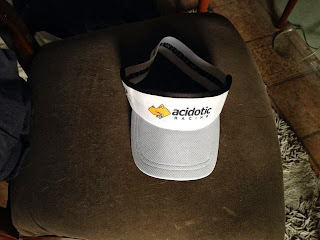 Thanks again to everyone that supports me in my running adventures. It is because of your hard work and love that I have been able to crest that summit into competing at the highest level.